I received the following product in exchange for an honest review. The opinions contained within this post may vary from the opinions of others. About Cabbage Patch Kids Adoptimals: Cabbage Patch Kids 9” plush, elecrtonic Adoptimal pets! These furry little friends are looking for their forever home. With four different types of pets to choose from you surely will find your perfect pair! 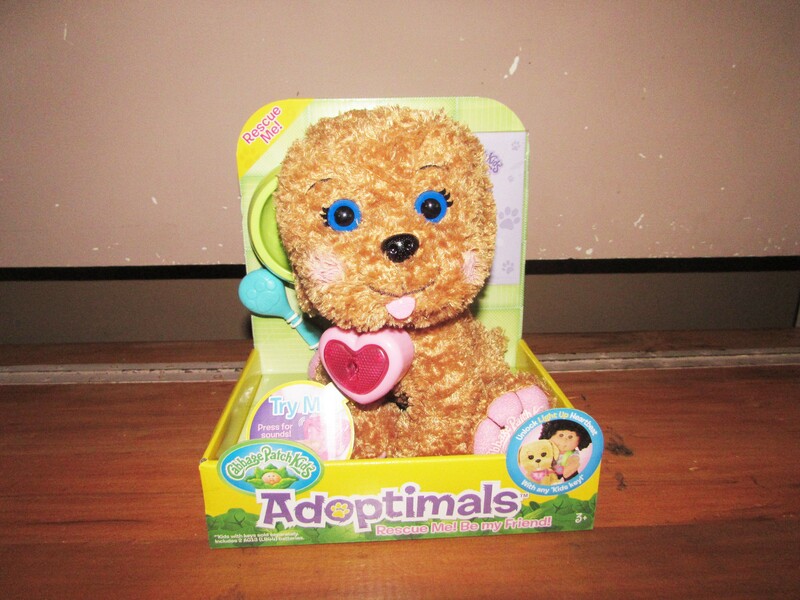 When I got the opportunity to share with our son the Cabbage Patch Kids Adoptimal Labradoodle I got extra excited. I knew he was going to love it. Jack was SO excited to name this dog and he promptly called her Jo-Jo. We got to fill out the certificate of ownership and he was really proud to make it official. I love that while this toy makes noise, it is not annoyingly loud. Something else I love is that this is a standard toy that requires no connecting to an app, no internet, nothing but imagination kind of toy! 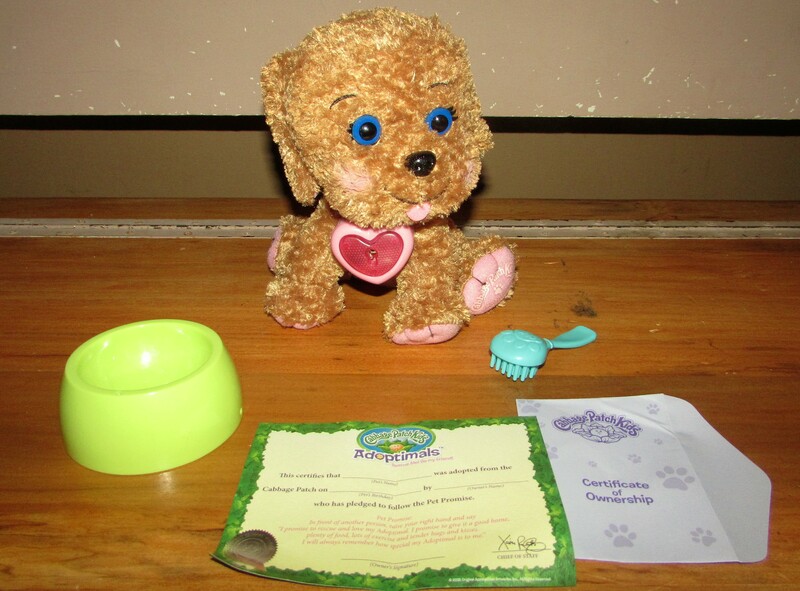 She is soft, cuddly and has a cute brush and dog bowl to teach even the youngest child grooming habits for an animal. The barking sounds that this dog makes are super sweet and Jack has enjoyed so much pressing the heart to hear the sounds. Who wouldn’t love those big blue eyes, too! They are stunning! Now, you guys see the hole in the heart that looks like a locket? I noticed it immediately and had to know what went in there and where this key was coming from. I started to look online and realized there is a special doll that unlocks something special… Follow to the next post to learn what happens. If you are looking for an awesome gift to give any child in your life, something that requires no technology, check out this cute Cabbage Patch Kids Adoptimal. You will not regret this purchase.